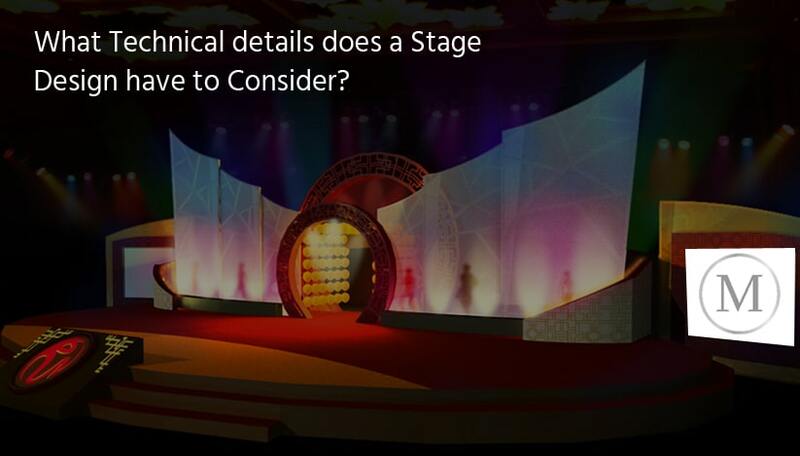 What Technical Details Does a Stage Design have to Consider in Events? Event design is not about taking a space and transforming it into something new. It is a place where people want to be an experience, whether they’ve come to learn, network or just have fun. It’s not just about looking nice. Event management Singapore brings life to the event with outstanding decoration and technical things. The technically good event can change the atmosphere of a venue. Lighting is not just about colors, effects, and highlights. It is not about just staying out of the dark. A creative professional lighting setup can turn a corporate conference into an atmospheric and creative event. There is a whole family of new LED lighting fixtures that cannot only wash a stage with color; they can be sent videos and animations. It also adds striking textural effects to your set design. From music to speeches, you want your sound clear and interesting, with the perfect volume for the occasion and a technical support team who understand acoustics. The range and efficiency of our sound equipment allow us to cater for events of all sizes and types. MTM Events advise you at the early stages as to the best sound design to suit your event and provide specialist AV equipment. On the event day, the expert team should handle the operation of all of the microphones, mixers, and speakers. Use of varied multimedia can help you to reinforce a message. The impact of a great presentation can be dabbling without a suitable video or projection system. Event Organisers Singapore expertise in video systems allows us to find creative solutions to challenging configurations. Nowadays, there has been a high demand for live video linking, live streaming and similar technologies designed to connect your event to the wider world. Event planner in Singapore ensures that live filmed images are mixed to high professional standards for a perfect result. With virtual reality and augmented reality creating its way into the events industry, Conference Craft can also provide technical support for the integration of VR into your event. MTM Events are happy to advise you on the best setup for your event.